The Raj Soin College of Business has taken a proactive approach to flatten the learning curve between graduation and work force readiness by developing a focus on experiential learning, while continuing the long tradition of developing influential business leaders in the region and beyond. Through collaboration with the business community and alumni, the college continues to launch new academic programs, increase scholarship support, and expand career opportunities for our students. This collaboration serves to enrich our students' academic experience while helping area businesses excel. 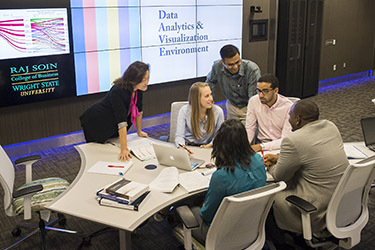 The college established the Institute for Innovation and Entrepreneurship, which focuses on providing as many real-world business experiences as possible while still building a foundation of academic theory. In addition to providing experiential learning opportunities, the Institute for Innovation and Entrepreneurship also maintains a strong mission to drive student success through interactive learning in commercialization and entrepreneurial projects. To continue our innovative approach to academic and student success the college will focus on growing the following priority funds. Raj Soin College of Business Scholarship: This fund enables the college to expand through recruiting and retaining undergraduate students of all levels and disciplines. Raj Soin College of Business Program Fund: This fund supports the academic mission and vision of the college while investing in emerging priorities. MBA Program Fund: The college continues to enhance the graduate programs offered by funding scholarships to those seeking post-graduate degrees. Institute for Innovation and Entrepreneurship: Deepening and fostering the growth of community partnerships and collaboration with a keen focus on student success, this fund will provide critical support to promoting experiential learning programs and scholarships. The College of Education and Human Services (CEHS) is an influential force in preparing and inspiring students, graduates, faculty, and staff to positively impact the complex educational, human service, and leadership needs facing our communities and our world. Our college is unique in that everything we do helps enrich and save lives through the work of our four academic departments: Teacher Education, Kinesiology and Health, Human Services, and Leadership Studies in Education and Organizations. Education and Human Services Program Fund: This fund was established to support faculty and program development. Education and Human Services Scholarship: Established to fund scholarships for CEHS students. Dean’s Fund for CEHS Enrichment and Innovation: Established to support innovation and enrichment of CEHS initiatives. 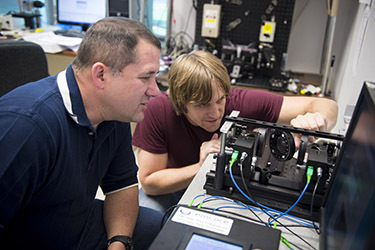 The College of Engineering and Computer Science (CECS) is where education meets innovation, offering dozens of academic programs to more than 3,500 students in the university’s fastest-growing college. We prepare our students to improve the human condition by bringing discovery and innovation to the world. We seek to strengthen our research and entrepreneurship by increasing accessibility and affordability while crafting pre-eminent programs that enhance our reputation as a regional leader through our industry-leading corporate partnership structure. Your gift to one of the scholarship or program funds listed below helps the College of Engineering and Computer Science continue to meet the needs of the community and our students. When you choose a fund, you will be directed to the online giving page to make your secure gift to Wright State University. Thank you for your gift and for supporting the mission of the College of Engineering and Computer Science. 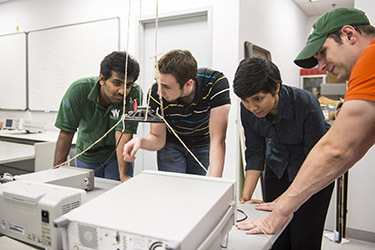 Engineering and Computer Science Program Fund: This fund was established in 1987 to support the College of Engineering and Computer Science as a whole. Engineering and Computer Science Scholarship: This fund was started in 1987 from faculty and staff gifts. The scholarship is awarded by the CECS scholarship committee and given annually. 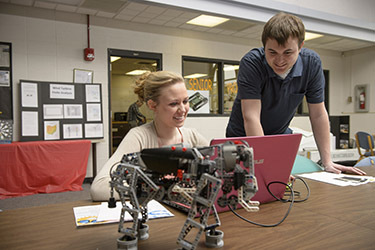 Engineering Student Success Initiatives (ESSI): ESSI fund money is directed toward operating activities (including equipment and supplies), scholarships, and recruiting and retaining CECS students. The following funds have been established to support learning opportunities for high-quality graduate students. Each of these funds provides our students with the chance to grow as scholars and contributors in their fields. Graduate Research and Travel Grants: Supports graduate student research and presentations at professional conferences and other venues. These funds allow students the opportunity to present new ideas and theories before peers and colleagues. Graduate Student Scholarships: Supports graduate students from all academic areas through a general scholarship fund. These scholarships will provide exceptional students with the funds needed to pursue their graduate education. Since its inception, the Wright State University–Lake Campus has been the fortunate recipient of alumni, friends, and corporate support. Our ability to continue to serve the educational needs of Auglaize, Darke, Mercer, and Van Wert counties, as well as the residents of the surrounding areas, is a testament to the generous nature of the residents and business leaders who believe in the academic mission of the Lake Campus. The Western Ohio Educational Foundation (WOEF) thanks the community for its continued support. The WOEF board operates under the auspices of a board of trustees whose members are respected business and community men and women. Members share a common interest in the Lake Campus’s academic programs, community service, success, and most importantly, the students. This vision is realized through campus housing and the numerous scholarships made available each year by the WOEF board. 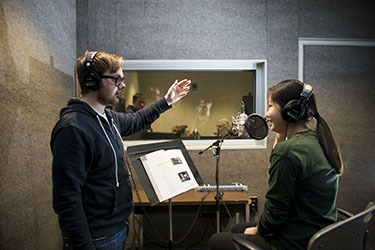 The College of Liberal Arts (CoLA) is at the very heart of the Wright State University undergraduate experience, offering educational opportunities for nearly 3,000 students in more than 50 academic programs. You can make a positive impact in the lives of these students and their fields of study by making a gift to a scholarship or program listed below. When you choose a fund, you will be directed to the online giving page to make your secure credit card gift to Wright State University. Thank you for your gift to the College of Liberal Arts! Dean’s Fund: This fund is used at the discretion of the Dean of CoLA. Liberal Arts Scholarship: This scholarship supports liberal arts majors. Liberal Arts Study Abroad Scholarship: This scholarship is for liberal arts majors who plan to study abroad and who have attained a minimum GPA of 3.0. 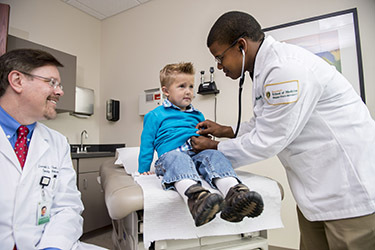 Whether you wish to make an annual gift, a special one-time gift, a named gift, or a planned gift, your donation will support the work of Wright State University’s Boonshoft School of Medicine (BSOM) now and in the future. Not sure which fund to support? The Boonshoft School of Medicine has identified three priority funds to support needs within the school including student scholarships, research projects, special programs, and other strategic needs. 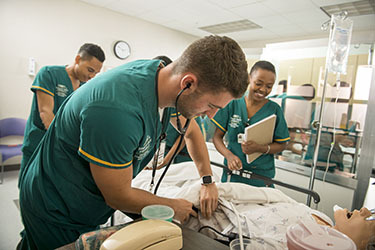 The Wright State University–Miami Valley College of Nursing and Health is grateful for the support and commitment of its alumni, faculty, and friends. You have helped to ensure that we can continue to provide a quality education to the region's future professional nurses. It is through your gracious efforts that the college is able to succeed in its community mission. You can let the college decide where to apply your gift or you can name a specific program, scholarship, or fund you wish to support. Dean's Nursing Initiatives Fund: Rapid changes in nursing and healthcare are continually creating new opportunities which require flexibility and nimbleness to take advantage of the moment. Through unrestricted gifts, the College of Nursing and Health can meet pressing challenges for which no other funding is available. As future opportunities are impossible to predict, general unrestricted gifts provide the necessary flexibility to absorb and meet these opportunities as they arise. Nursing Scholarship Fund: Join us in helping students with great potential but limited financial resources as they pursue their dreams of becoming nurses. Educational Technology Fund: The College of Nursing and Health seeks to keep pace with the fast-changing technology utilized in health care so our graduates are the best prepared for their chosen profession. Gifts to this fund help provide students with the tools needed to assist them in their learning, skills development, and practice. 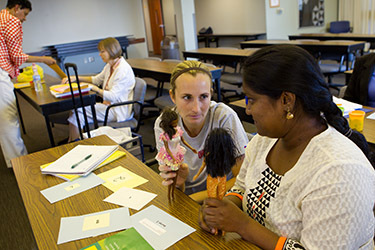 Patricia Martin Faculty Development Fund: A hallmark of the College of Nursing and Health is its efforts to advance the profession of nursing and health care practice through systemic and scholarly research. This emphasis on research helps us to attract and retain the very best nurse educators so our graduates are the best prepared to meet the future challenges of health care. Gifts to this fund provide resources for faculty to engage in scholarly activities that further enhance the educational experiences of our students. Student Success Initiatives: We seek to meet each student where they are academically and help them achieve their educational goals. Throughout the course of their studies, students may require specific assistance to help them achieve academic success. 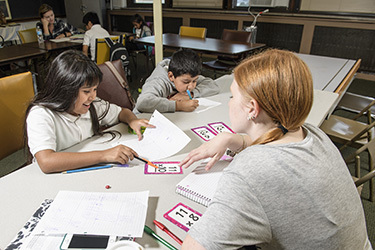 Gifts to this fund provide resources to implement strategies for individuals or groups of students specific to their needs and critical to their overall achievement. School of Professional Psychology Scholarship: This fund was established by SOPP to support student scholarships. SOPP Dean’s Program Fund: This fund provides support for the functions and programs of SOPP. Gifts to the College of Science and Mathematics (CoSM) can be large or small. They can be undesignated, meaning the college determines how best to utilize the support. Gifts can be also designated which allows you to select a particular CoSM area or initiative to support that is personally meaningful to you or a priority within the college. Gifts can be annual gifts, one-time gifts, multi-year pledges, planned gifts within your will or estate plans, or a combination of any of the aforementioned. The most important aspect of a designated gift is that it matches your personal interests with how the gift will be utilized within CoSM. When you choose to make a gift to the College of Science and Mathematics, you directly impact the students and programs within the college. Please select the area that you would like to support from the departmental funds listed below. You will be directed to the online giving page to make your secure credit card gift to Wright State University. 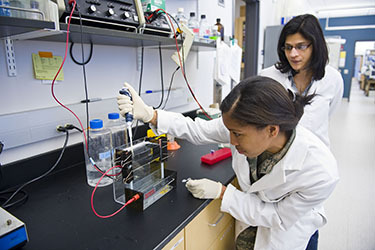 Applying Scientific Knowledge Program: Funds support this undergraduate research program. COSM Entrepreneurship/Innovation Fund: Supports CoSM initiatives and activities which could include, but are not limited to, the costs associated with student competitions, speaker series, conference attendance, and faculty release time for course creation. CoSM Internships and Co-ops: Provides financial support to students participating in internships and co-ops. Science and Math Scholarship: This fund was established by former faculty members Donald Adams, Charles Carraher, and Brian Hutchings to provide scholarships to science and mathematics students as determined by the dean. Women in Science Giving Circle: The Women in Science Giving Circle, founded by former CoSM dean Michele Wheatly, is a philanthropic program in which donors pool their money to create opportunities that enhance the educational and professional success of women in the Science, Technology, Engineering, Mathematics, and Medicine (STEMM) disciplines at Wright State University.